with unlimited possibilities for creating your perfect photo collage! Foto M! is the best app for users on Instagram. 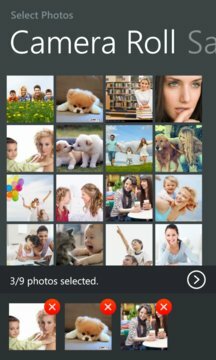 - Collage photos with grid model, lots of grid templates to choose from. - Collage photos with frame model, you can create amazing pictures as a magazine's cover. 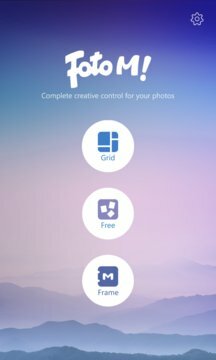 - Collage photos with free model, you can fully control to collage by your self. - Support multiply gestures, you can zoom in/out, flip, rotate pictures. - Each and every pics are designed as 1:1, no crop to share to Instagram. And, most important, it's FREE for ever! Please rate us 5 star if you like it, thanks!